For those who already know, Michel Thiry is a pioneer in laying what is today called “Program Management”. He has been an invited and sought-after speaker in many project management conferences organized by many project management bodies including PMI (Project Management Institute). Our experts have done their PgMP certification by reading his book and was overwhelmed by the rich knowledge and simplicity of the knowledge. 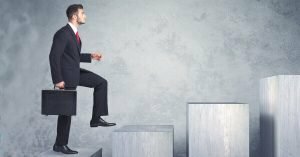 In contrast, the PMI standards are written in a verbose manner and in a way, you lose the essence why we do a program or a project, what are their benefits and how we need to realize the benefits. 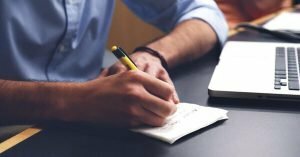 The practical aspects of the certification somehow are lost in the standard as it is more designed to present a structured piece of information. We are not a big fan of the PMI standards and therefore, always aim to simplify it and present to the audience. This is the value we add and our participants have been appreciating the way we simplify the content and make them understand & use the concepts practically. Michel Thiry’s Program Fundamentals does the same thing – it is a wonderful book which talks why we need Programs? How we can differentiate it from Projects and Portfolios, and how we link it to Strategic Objectives? It further elaborates on how we can make decision making and implement the decision making and realize the benefits of the program in a very easy way, among many other things. Michel Thiry’s 2010 book “Program Management” has been presented with an Award of Merit by the Canadian Project Management Association and is on the PMI’s recommended list of readings for the PgMP® Exam. The 2nd edition has just been published by Routledge. He has also written a number of book chapters on Value, Program and Portfolio Management in prominent PM books like the Gower “Handbook of project management” 3rd and 4th editions and the “Wiley Guide to Project, Program and Portfolio Management”, published by Wiley (2007). He was also a contributing editor for PM Network from 2003 to 2008, a “Significant Contributor” to the PMI® Standard for Program Management 3rd Edition (2013) and was on the core team of the new PMI® Practice Guide to Managing Change in Organizations (2013). In 2014, he was awarded the PMI Eric Jenett Project Management Excellence Award for outstanding contributions to the practice of the profession, and leadership in advancing PM concepts, techniques, practices, or theories. 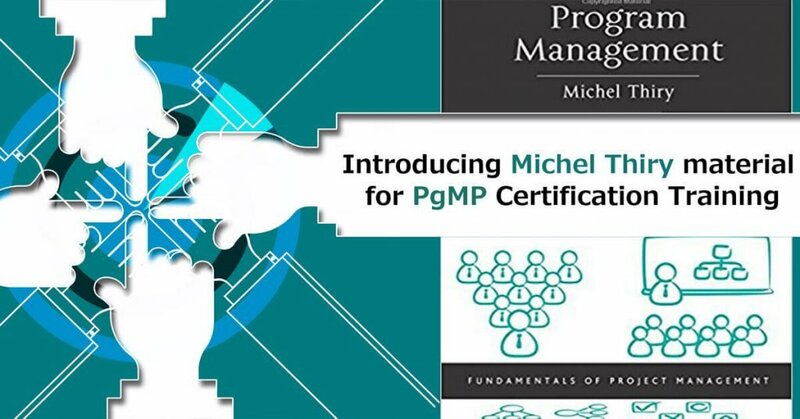 We, at ProThoughts, are very happy to collaborate with Michel Thiry and bring the richness of PgMP certification. We believe that the certification is only useful only till you practice in your day to day work and that has been our endeavor. The exam becomes then pretty easy. You can also read Do Organizations need Program Manager? Our PgMP certification with Michel Thiry will not only include the material but a world-class case study and lots of interactive games and exercises to crack the PgMP certification. Mr. Ashish Sadekar, (PgMP, PMP, PfMP) one of the experts from ProThoughts would be coaching on Michel Thiry material. Kindly check what our participants have to say about our Training workshop: Click Here! For more details, drop a mail to info@prothoughts.co.in and we will happy to share the details.